GLYPHX is featured in STARFALL: The Undoing. The past few months have been a very busy past few weeks. 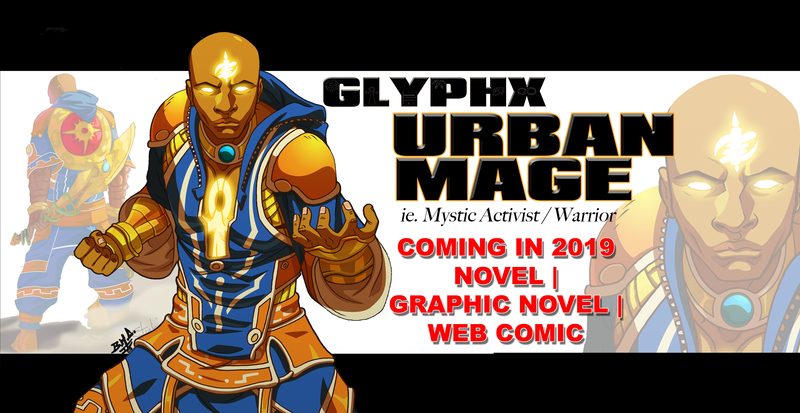 I recently unveiled the site, GLYPHX The Urban Mage and I have received positive feedback. I can’t wait to reveal the ongoing adventures and images. A few years ago, Dion Floyd approached me about my IP (Intellectual Property) of GLYPHX being in his indie project. Fast forward and now he is featured in the comic book called STARFALL: The Undoing. It is a multi-issue project written by Reese Robertson and Dion Floyd / Aquaryus Entertainment. The incredible art is by Sean Hill with amazing colors by Omi Remanlante. Go check for it! Support Indie Creators & Their Projects! GLYPHX The URBAN MAGE gets listed on World Of Black Heroes!